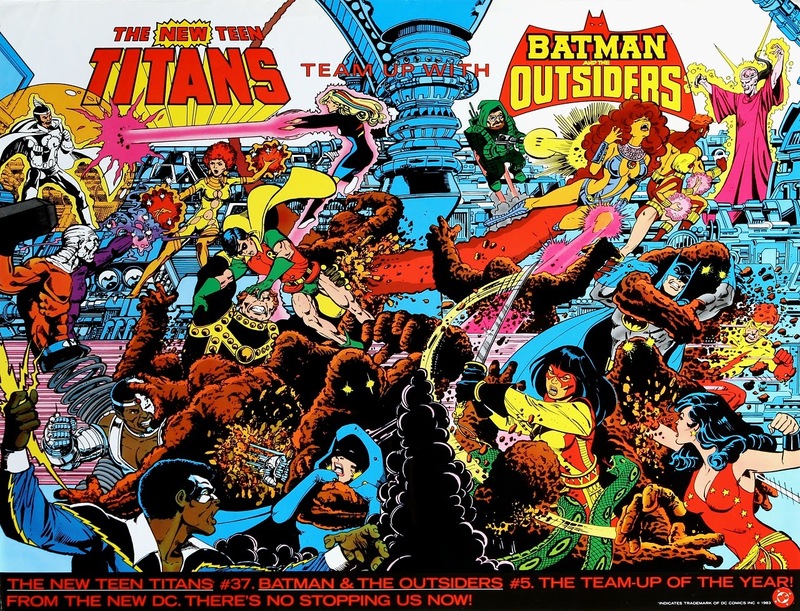 Love that Titans/Outsiders crossover. What a good story, both artists in their prime. Beautiful diptych cover by Perez. 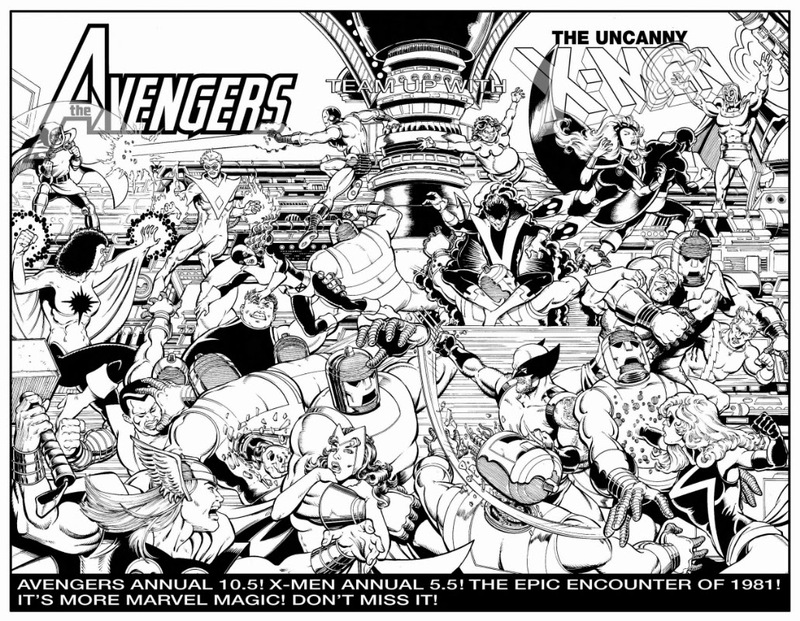 Is that Avengers/X-Men a real comic or just an homage commission piece? Unfortunately, it's only an homage commission piece. What a shame. When I see a really nice piece I always wish there were a story to go with it. And that I could afford to commission stuff like that! The only negative things that I see in the comission is the presence of Captain Marvel/Monica Rambeau because she belongs to a later era and that after Avengers Annual #10, Ms.Marvel shouldn't be here (she was powerless).Change Ms.Marvel by Wonder Man and Captain Marvel for the Wasp and no problem.